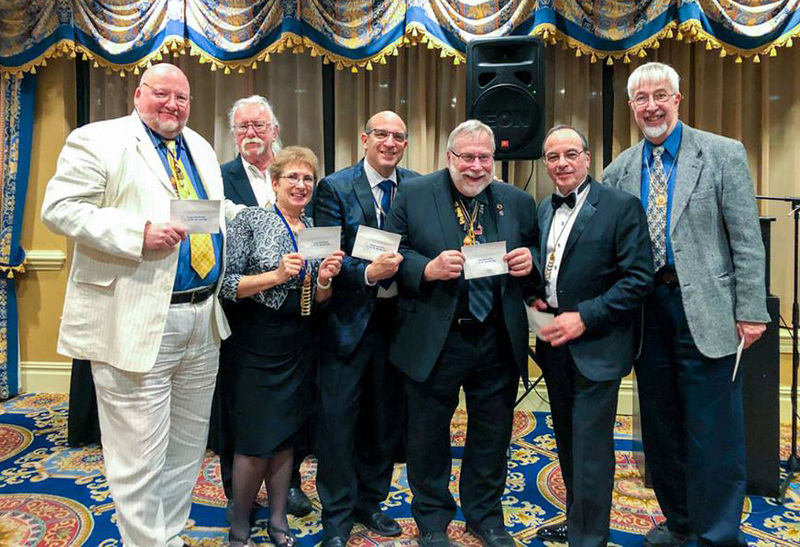 The Finger Lakes Section of PPSNYS, Inc. will hold a monthly meeting on Wednesday, April 17, 2019 at Woody’s Bar and Grille in the Quality Inn, Rt. 414, Waterloo, NY. A $5.00 charge for each member will be collected at the door (this includes ANY PPSNYS member). Non member charge is $35. All Photographers are welcome! ALL YOU EVER WANTED TO KNOW ABOUT FRAMING – Presented by JASON CAMPBELL, of Frameworks of Rochester. Jason Campbell has owned Frameworks of Rochester since 2008. It was founded 40 years ago and Jason himself has over 20 years of experience. All of Frameworks work is performed on site, and is genuine, handcrafted work from matting to framing. Products include framing of traditional art work and prints to sport jerseys, shadow boxes and restoration of antique and vintage frames. I plan on talking about the factors that go into choosing framing materials. Everything from mats, backing, glass, frame and how they can impact the artwork. I can go over how to actually join metal frames since I’ve had a few customers struggle with that. 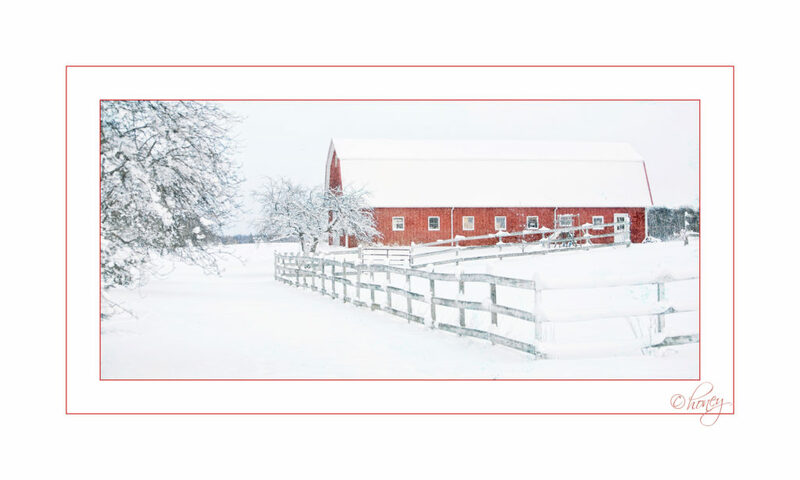 I will talk about the difference between gallery framing and framing for a home or office. I am happy to answer any questions from the group. Please plan to stay for dinner and support the restaurant. We are guests in their meeting room at NO CHARGE! The Finger Lakes Section is a section of the Professional Photographers’ Society of New York State, Inc. (PPSNYS) and an affiliate of the Professional Photographers of America (PPA). 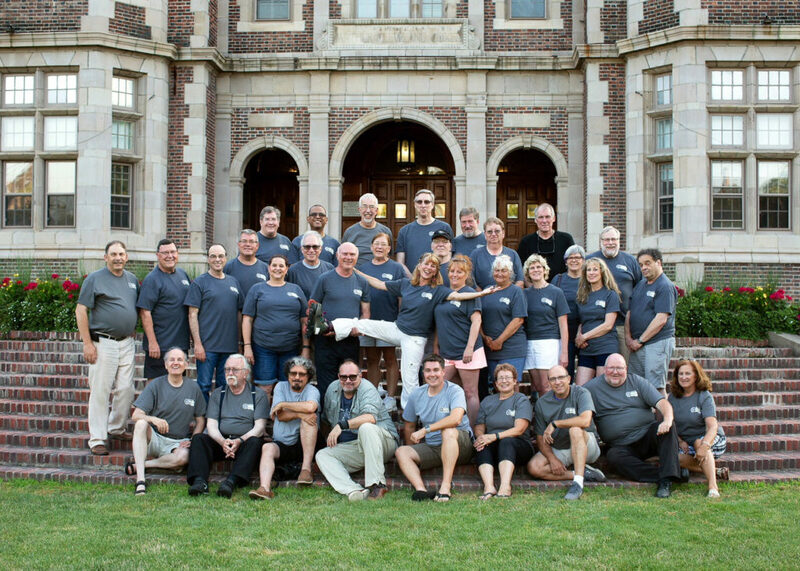 The PPSNYS, Inc. is a not for profit association formed in 1905 solely to instruct its members and the general public in photography; and to create, foster, promote and encourage the exchange of information among its members and the public. The PPA is a worldwide association that exists to assist its members in achieving their professional, artistic and fraternal goals; promote public awareness of the profession; and to advance the making of images in all of its disciplines as an art, a science and a visual recorder of history. Quality Inn, Rt. 414, Waterloo, NY. (this includes ANY PPSNYS member). Please plan to stay for dinner and support the restaurant. We are guests in their meeting room at NO CHARGE! photographers who have been successful in these venues. Neil Sjoblom received the PPSNYS Accredited, Qualified and Artisan Degrees. It was also mentioned that Neil has been a PPSNYS member since 1975. 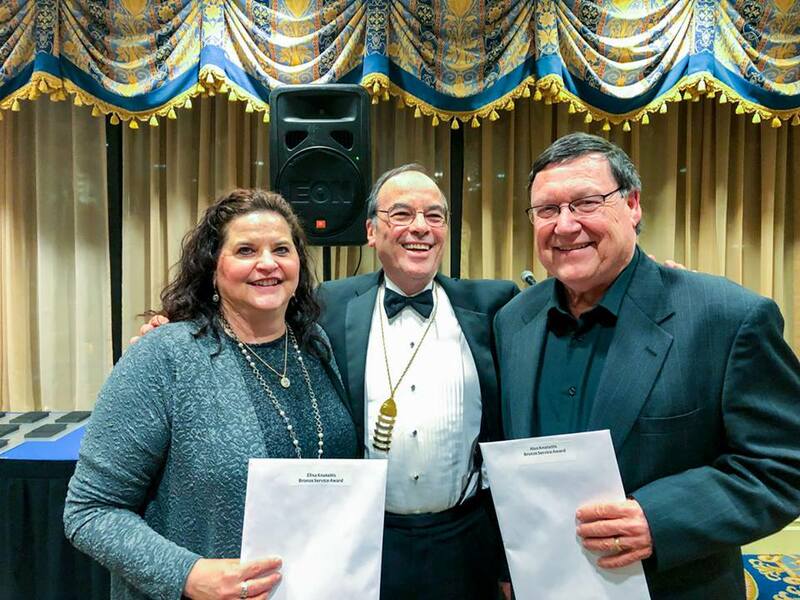 Linda and Craig Hutchings were both awarded Service Bars to add to their many awards. Award photos taken by Monroe Payne. the Awards Presentation on Monday Night. At this March meeting we will again be collecting donations of non-perishable food items, new or gently used warm clothing and personal care items, etc. 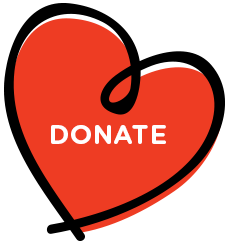 for the Geneva Center of Concern, a non-profit organization that helps those in need. If you forgot last month you have another chance. Neil has volunteered to represent the Finger Lakes Section and will kindly take the donations to the Center. 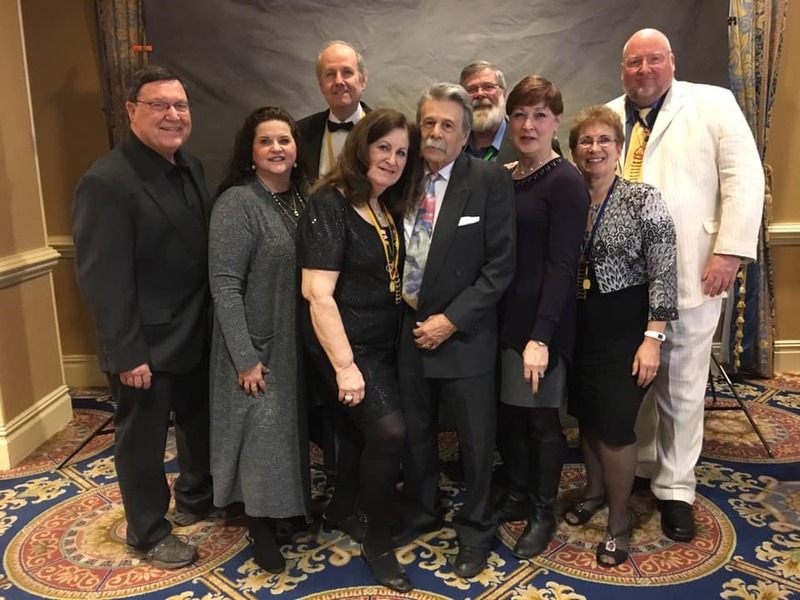 The Finger Lakes Section of PPSNYS, Inc. will hold a monthly meeting on Wednesday, February 20, 2019 at Woody’s Bar and Grille in the Quality Inn, Rt. 414, Waterloo, NY. Business Meeting starts at 3:30PM A $5.00 charge for each member will be collected at the door (this includes ANY PPSNYS member). in their meeting room at NO CHARGE! standards and will be judged according the the FOCUS/IPC rules. the Finger Lakes Section and will kindly take the donations to the Center. The Finger Lakes Section of PPSNYS, Inc. will hold a monthly meeting on Wednesday, January 16, 2019 at Woody’s Bar and Grille in the Quality Inn, Rt. 414, Waterloo, NY. A $5.00 charge for each member will be collected at the door (this includes ANY PPSNYS member). Non member charge is $35. All Photographers are welcome! ••First time guests attend for free••. Please plan to stay for dinner and support the restaurant. We are their guests in the meeting room at NO CHARGE! The Finger Lakes Image Critique will be held after our formal discussion. Please see the rules posted on the Competition Page. Bring up to 3 images for this critique. Dinner will follow the Image Critique. The Finger Lakes Section, founded in 1911, is a section of the Professional Photographers’ Society of New York State, Inc. (PPSNYS) and an affiliate of the Professional Photographers of America (PPA). 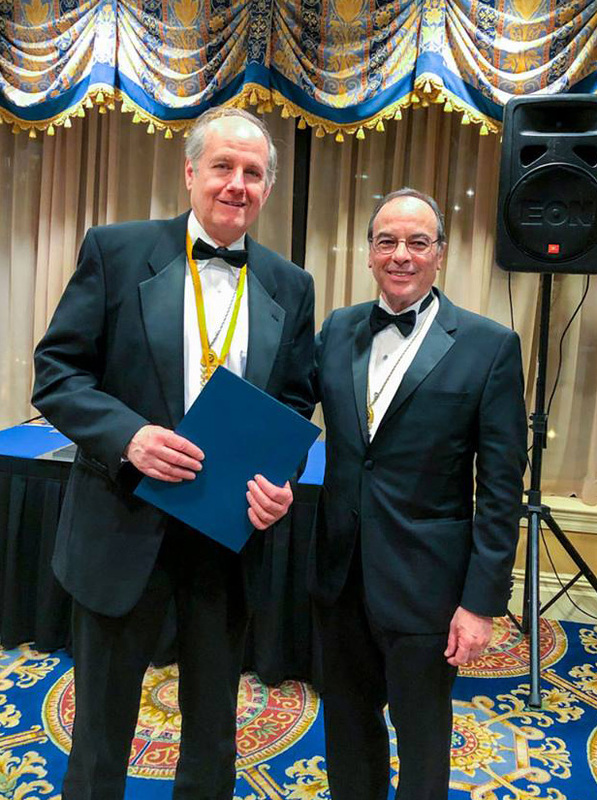 The PPSNYS, Inc. is a not for profit association formed in 1905 solely to instruct its members and the general public in photography, to create, foster, promote and encourage the exchange of information among its members and the public. The September 2018 meeting of The Finger Lakes Section of PPSNYS, Inc. is Wednesday, September 19, 2018 at Woody’s in the Quality Inn, Rt. 414, Waterloo, NY. NOTICE!!! NEW TIME! NEW LOCATION! Due to of Abigail's going out of business, our good friend Woody/Jimmy from Abigail's has opened in his new spot and has graciously extended the invitation to hold our meetings there. First of all we will discuss meeting times for all future meeting as well as other items of business. Image Critique after the Program. A $5.00 charge for each member will be collected at the door (this includes ANY PPSNYS member). Non member charge is $35. All Photographers are welcome! ••First time guests attend for free••. Please plan to stay for dinner and support the restaurant. Because they are not charging us to use the room, it is the least we can do! 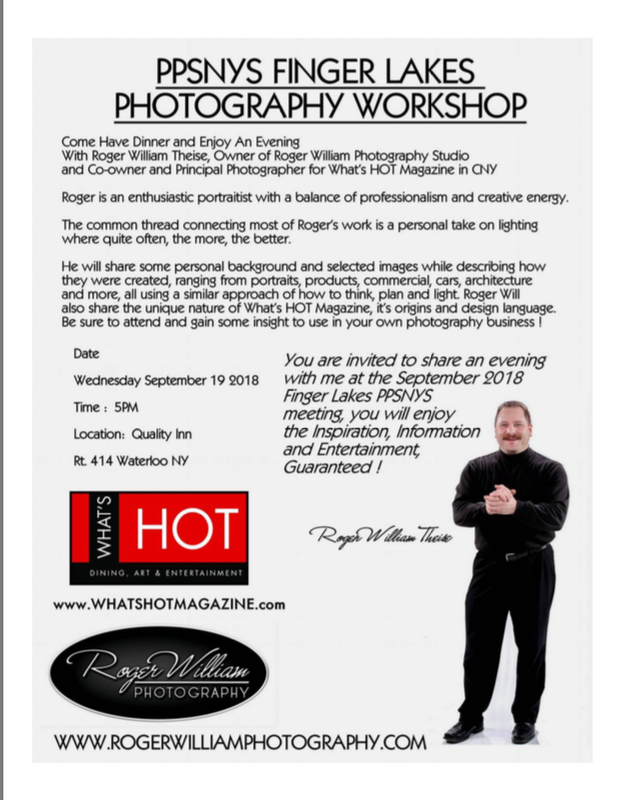 Roger William Theise, Owner of Roger William Photography Studio and Co-Owner/Principal Photographer for What’s HOT Magazine in CNY. 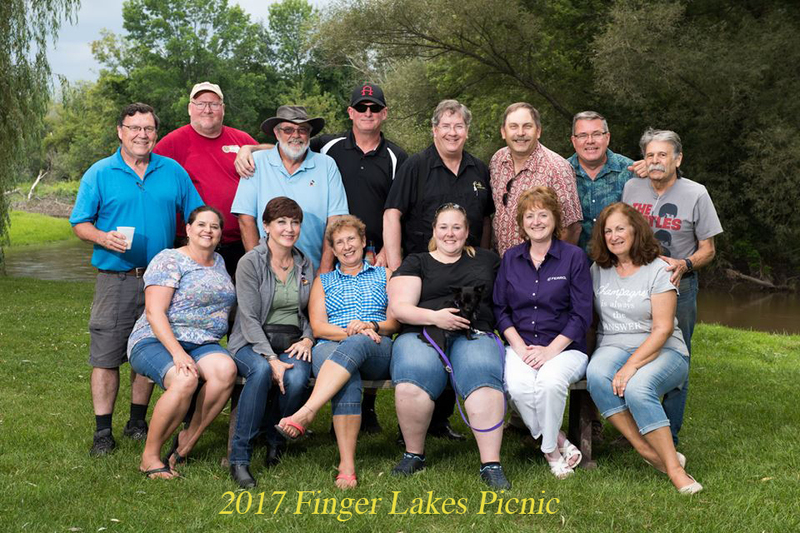 Finger Lakes Annual Picnic was August 15h, 2018 at Linda and Craig Hutchings’ camp. Thank you to them for hosting this wonderful event for so many years. Thank you Craig for cooking the delicious turkey and to everyone who brought such great dishes to pass. Honey DeLapa was the lucky winner of the litratorch donated to Finger Lakes by our sponsor, Gary Farber of Hunt’s Photo. Please see Gary for all your photographic needs. He and Hunt’s have been very generous to both Finger Lakes and PPSNYS. Remember to support our sponsors! 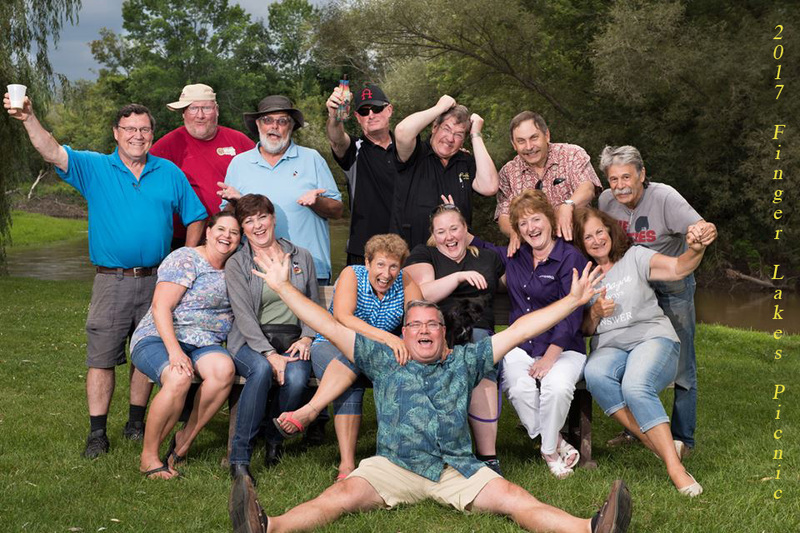 Our meeting this month is the August 2018 Picnic. 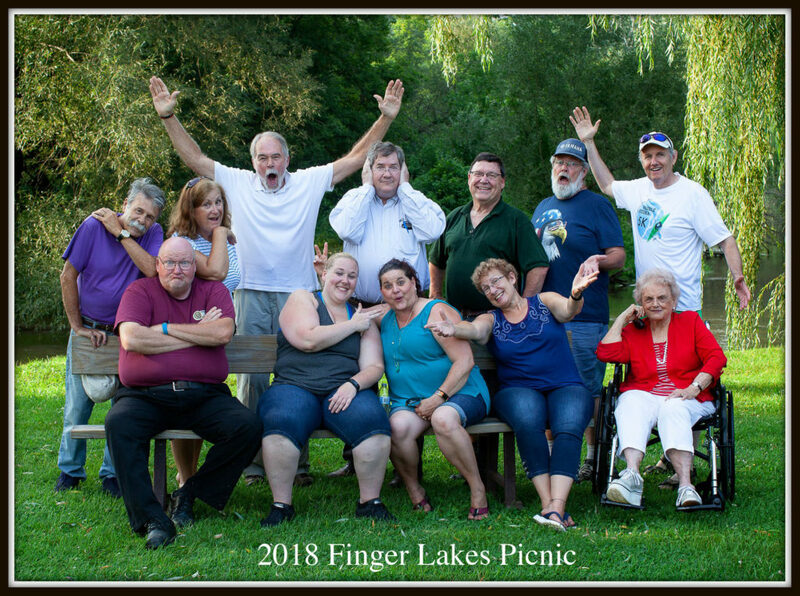 Please join the Finger Lakes Section for our Annual Member Family Picnic on Wednesday, August 15, 2018, 2:00PM at the Cheerful Valley Campground in Phelps, NY. Our hosts, Craig and Linda Hutchings have once again offered their hospitality by reserving the pavilion for us. Please bring a dish to pass, place settings and drinks. The meat will be provided. Send your response to Linda, MRSHUTCHSR@aol.com, so we know if you’re coming and what dish you’re bringing. The traditional horseshoe tournament will start as soon as we have enough people gathered. BRING: bathing suits if you’d like to use the pool, fishing gear if you want to try your luck in the stream and any fun outdoor toys or games you’d like to share. Be aware that we will take a Group Portrait after dinner so don’t leave before that happens. The Finger Lakes Section of PPSNYS, Inc. will hold its June 2018 Meeting meeting on Wednesday, June 20, 2018 at 2:00PM. Rain or Shine! Join us from 2-5pm for our FLPPSNY meeting being held at the Montezuma Audubon Center at 2295 State Route 89 in Savannah NY. This is NOT the National Wildlife Refuge on Rt 5/20. It is about 15 minutes north of there on Route 89. DIRECTIONS We will be taking a birding walk through the property’s woodlots and meadows in hopes to spot some wildlife and capture some great images. Our Guide will point out some of the wildlife and flowers native to the area for us. Get your gear ready and have a plan for possible rain protection too! Some other items to consider bringing: bug spray, umbrella, jacket/sweatshirt, beverages if it’s hot…and remember to charge all those batteries! This will be fun!…Hope to see you all there! Dinner will follow for anyone who wants to attend. Place to be determined. 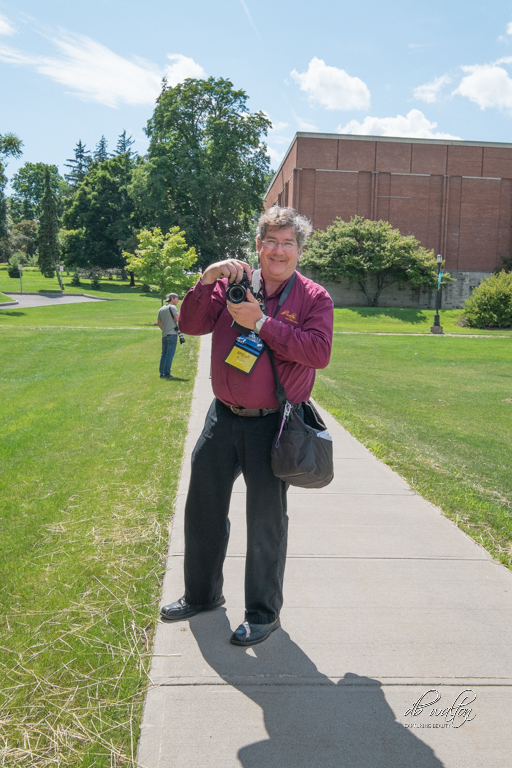 Here’s a sponsor message from Howard Burkholz: I’m a sponsor of your Professional Photographers of America chapter. Photography is my passion and insurance is my profession. Combine the two and I am uniquely qualified to help you get the best customized professional photographers insurance. You may have already learned by sad experience that your homeowners insurance does not cover cameras, lenses, and other equipment when used for part-time or full-time economic gain. Nor will it cover your business liability exposure. In addition to Replacement Cost New equipment coverage, Allstate Business Insurance also offers Professional Liability Coverage, General Liability Coverage, Data Extraction Coverage, and more – starting at $375 per year ($325 per year in some states). This is available for a HOME-BASED business AND retail studio’s too. As you know, most insurance companies don’t offer liability coverage if you are operating out of your home. And, liability coverage protects you anywhere in the world – not just at your business premises. Why purchase General & Professional Liability? Consider this. What if your camera and tripod toppled against an expensive stained-glass window during a wedding, this insurance could cover damage or replacement costs for the claimant’s window and any damaged nearby furnishings. Or, Professional liability (also called Errors & Omissions) provides for the legal obligations arising out of professional errors, negligent acts or omissions during the course of practicing your profession. *Approximately $200 higher for hurricane exposure in eight New York counties – Bronx, Nassau, Suffolk, Kings, Queens, Westchester, Manhattan, Richmond. A $5.00 charge for each member will be collected at the door (this includes ANY PPSNYS member). Non member charge is $35. Dinner will follow the program. Please stay to enjoy a great meal and conversation with your colleagues. •• First time guests attend for free (the $35 guest fee is waived on your first visit) ••. Please join us for our November 15th meeting with presenter Elisa Knataitis. Equipped with her 32 years of experience, she will take you through her career to help arm you with the insider secrets that will truly make your images shine. Starting with techniques from the beginning of her career, Elisa will show you everything from the basics to what is trending now – from makeup enhancements, to removing backgrounds, to compositing collages – all while she takes on your toughest photos and questions. We will hold our Image Competition following the program so select your THREE (3) best images and bring them along. See our Facebook Group Page or our website, www.flppsny.com, for all the details. This is your last chance to accumulate points toward the Blair/Rodabaugh Scholarships. Winners will be announced at the December Holiday Party! FLPP Member Paul Bardotz and I took a month long journey down Route 66. We drove to Chicago, hopped on Historic Route 66, and made our way to Santa Monica, California. It was a real eye opener. We ran in to several photographers along the way. Some were professionals, but mostly amateurs. But the most fun was running in to everyday folks and hearing their stories. If you haven’t seen it, check out our website and blog about our journey. You can find it at http://www.route66photographers.com. 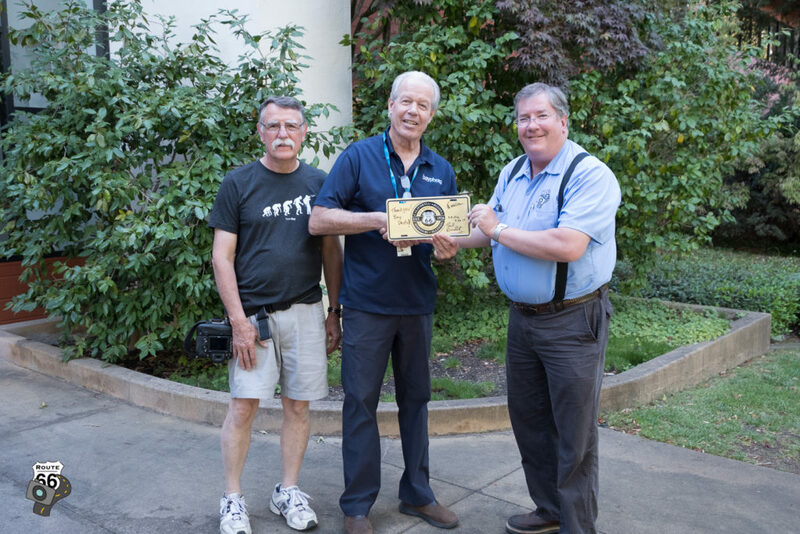 Below: Paul and Brent present Steve Kurtz of Bay Photo Labs a Route 66 License Plate with our “Thank You” written on it. Bay Photo Labs was one of our many sponsors who helped make our trip special.